Blair is a Director of DSQ Pty Ltd, with significant experience in geodetic, cadastral, pipelines, engineering and infrastructure surveying. Blair graduated from University of Otago in 2003 having completed a Bachelor of Surveying. He was licensed as a Surveyor with New Zealand Institute of Surveyors in 2006, and gained accreditation as a Cadastral Surveyor with the Surveyors Board of Queensland in 2007. Blair has worked in private practice Surveying firms in Australia and New Zealand from 1991. 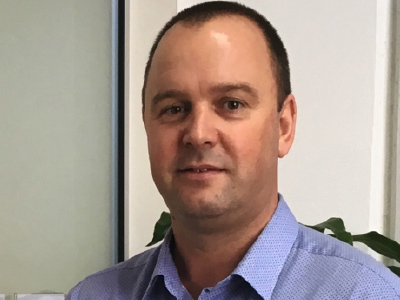 He has been a business owner on the Sunshine Coast since 2016 and has overseen various complex energy infrastructure and pipeline projects throughout Queensland. Blair is DSQ’s expert in pipeline route surveys, pipeline construction, data management, and quality compliance. Blair also has expertise in civil design, cadastral surveying, geodetic surveying, GIS and land development. Blair is the Director responsible for managing several large scale remote projects, and maintains a close involvement in pipeline and energy sector projects for DSQ.